The Rebel Light - Where Did All The Love Go. Background from The Rebel Light - We wanted to share with you our new music video for our song 'Where Did All The Love Go', If trippy psychedelic vibes is your thing then this is your jam. Also, KCSN in Los Angeles and EQX in Vermont just added ‘Where Did All The Love Go’ into rotation. Both stations play some of the best damn tunes on FM radio, So naturally, we were pretty excited to hear that our song has been added to their playlists. Los Angeles trio The Rebel Light have already been turning heads on both sides of the Atlantic. This exciting new band’s sound already oozes a confidence that feels both effortlessly fresh yet wonderfully familiar. 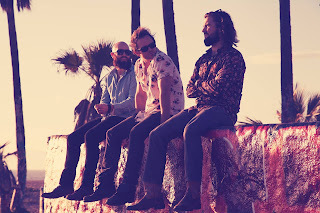 The Rebel Light have already pulled in comparisons to bands such as The Shins and Temples and draw heavily on their influence of the sun drenched sound of 60’s California pop. Website here, Facebook here. The Begowatts - Grand Charade (EP). John Edge Feat. Blackmill - Emerald City. Background - Blackmill’s Robbie Card is one of the pioneers of melodic dub-step. After reaching number one on Hype Machine with his remix of 'Your Song' by Ellie Goulding a few years back, and (fast forward to today) has since got over 500,000 single sales under his belt, 250,000 album sales as well as 70 million streams (and growing). With a vast cult following, this enigmatic producer is back again! This time the Watford-born dub-step prince dabbles in a whole different sonic spectrum than before, and having teamed up with his long-time friend and fellow Scottish musician John Edge, he enters into the Americana indie folk genre. Lonely The Brave - What If You Fall In (Redux). Background - Lonely The Brave have been deliberately quiet these last few months, working on new material and reassessing what has come before. This has been all the more noticeable because before then, they had never stopped: last year alone saw them secure a no.1 on the rock chart with their second LP “Things Will Matter”, sell-out a headline tour and play main support on a hugely successful European tour with Biffy Clyro, followed with a thematically linked series of EP’s which have shown the sheer depth of strong material that was available to them around that second record. Pageants - Cacti for Clothes. Background - The new Pageants single "Cacti For Clothes" has just been released. 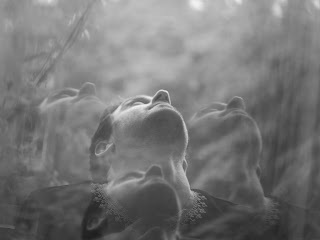 The single teases the band's upcoming release 'Forever' and follows the lead single "Chai ( חַי)". 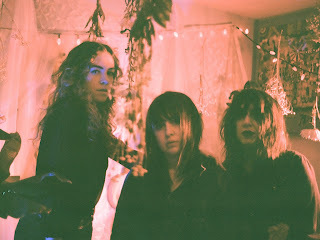 Pageants were formed by Rebecca Coleman in the aftermath of leaving Avi Buffalo (Sub Pop) in 2010, a band in which she was a founding member at the age of sixteen. Frustrated with clashing personalities and differences in musical sensibility, she, along with two other Avi Buffalo defectors, set out to revive the simplicity and spirit of earlier days. Diaristic yet dreamy and abstract in nature, her songs merge pop levity with melancholic lyrical undercurrents. Background - Candace (formerly known as Is/Is) can be traced back to the summer of 2009 when Sarah Rose (guitar/bass/vocals), Sarah Nienaber (guitar/bass/vocals), and Mara Appel DesLauriers (drums/vocals) came up with the great idea to make music together. 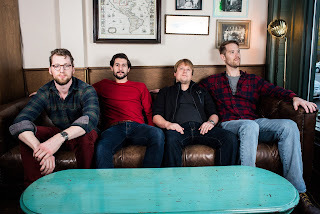 The band released the This Happening EP (2010), the “Vowel Movements/Blackest Beat” 7” (2011), their full-length debut, III, in 2012, Is/Is (2014), and a number of single before announcing their name change to Candace in 2016. New Future, the band’s first official release under the new name, was produced, recorded, and mixed by Neil Weir and Candace at Jackpot! Recording Studio in Portland, Oregon, where the band all lives.